It will enable you to create, produce and launch market-ready original music. It will enable you to develop industry-relevant technical and entrepreneurial skills. The curriculum focuses on the development of digital and computer-based music production practices, enabling the development of your practical and technical skills on established and recognised industry software platforms and related professional practice. Importantly, students on this programme will have access to the Hub, a dedicated ICMP team providing direct and relevant industry connectivity. 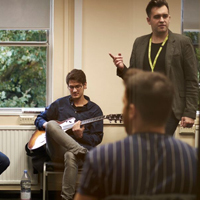 The Hub provides you with the opportunity to engage with a range of personalised opportunities and training throughout your time at the ICMP in order to maximise your opportunities for employment and creative development after you graduate. 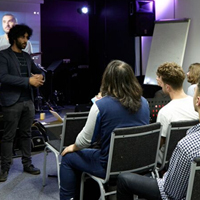 Successful completion of programme BA (Hons) Creative Music Production at ICMP leads to the award of Bachelor of Arts by the University of East London. Full programme specification can be found here. A wide variety of professional musicians are involved in the delivery of this programme. Students learn from an experienced and committed faculty of leading educators and top professional musicians who have developed a curriculum in line with the demands of today’s dynamic music industry. 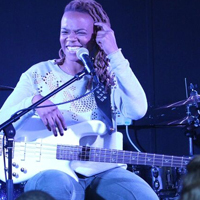 This ensures that students are able to interact and network with professional musicians and experienced industry practitioners throughout the programme. Importantly, there are a wide variety of musical activities in which to engage, including showcase events and public performance opportunities, and the chance to work in recording studios and other professional settings. This module will consider how computer technology is used to produce contemporary music. Using Pro Tools, Logic Pro and Ableton Live, you will develop music programming and production techniques, including synthesis and sampling, alongside the development of critical listening skills. You will explore the fundamentals of audio theory within the context of a professional music recording studio. By learning how to use industry-standard recording and production equipment you will become proficient with both recording and engineering (editing and sound production) processes. 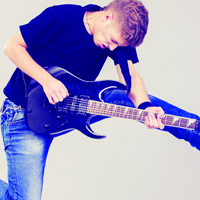 On this module, you will be introduced to effective ways of recognising and interpreting the development of popular music genres and develop the skills necessary to justify intellectual positions using critical texts and resources. The module utilises the University of East London’s ‘Skills Curriculum’ as a core framework for investigating, analysing and critiquing current debates and theories relating to the context within which popular music is produced, performed and consumed. This module will equip you with the skills to write and perform a repertoire of original compositions and remixes. You will begin to develop writing, composition and remixing techniques aligned with the role of the creative producer. Alongside this, you will develop a practical approach to exploring your creativity, as well as a deeper understanding of the history and context of creative composition and production. This module further develops your recording and production skills, exploring advanced music production techniques for recording and mixing music to a professional standard, including file delivery and the audio mastering chain. 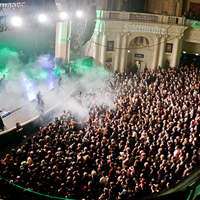 Additionally, the module examines the producer’s role with consideration for musical decisions – for example developing and creating the desired sound. • Individual Songwriting Project: continuing the creative writing development and examining A&R principles in more detail, you will create a repertoire for a specified artist project of your own design. • Writer-Producer: bringing musicianship skills together with your production skills to the studio environment to examine writing and arrangement techniques using production software. This module will enable you to explore the relationships between popular music genres through a process of critical interrogation and to experiment with a range of analytical approaches to justify intellectual positions. The module ensures you understand how to interrogate and deconstruct popular music through a range of critical and political ‘lenses’, building on the foundational work of the Level 4 module “Music Culture, Context and Criticism I”. You will additionally further develop your capacity for intellectual engagement with popular music through analysis and critique, engaging in the current debates and theories relating to the context within which popular music is produced, performed and consumed. The module will establish the framework of the music industry; exploring the three main sectors: recorded music; live music and publishing, delivering an overview of the contemporary music business. You will develop an understanding of current monetisation models; marketing and promotion strategies; the role of management; recognising changes in practice, which have been brought about by the impact of the internet and new technologies. You will develop critical awareness and analysis of the compositional methods, tropes and approaches utilised in music for film, television and multimedia, including computer games design. This awareness and analysis will be practically applied through composition, post-production and editing. You will study advertising, PR, branding and entrepreneurial business models through the analysis of case studies, as well as be working practically on developing, managing and refining your own product. You will also be encouraged and directed to keep on the pulse of the rapidly evolving business of music with ongoing reference to contemporary news stories and analysis. On the dissertation module, you will plan, develop and realise an appropriate, independent research project under relevant subject-specialist supervision. This will enable you to develop the skills of critical and/ or historical analysis acquired in the programme so far, and to apply them to a question of your own devising; offer a critical analysis of a wide range source material; demonstrate evidence of independent thought; write lucidly; and complete an extended piece of writing which draws upon the above skills. The structure of the module aims to offer support in research skills and project development, as well as dedicated subject support, and topic specialism. Part One (lecture and seminar series) consists of a review of the field/subject discipline; a review of the conventions of scholarly writing and citation; the theories and methods comprising the area of study; identifying and selecting a suitable object of inquiry; primary and secondary sources (and how to use them); dissertation framework and structure; dialogic scrutiny of key texts and debates in subject area (including ethical implications); the formulation of an agreed project, to include presentations by you to the wider student group on the progress of your proposal; and the production of drafts and revisions in relation to structured feedback and according to agreed schedule of submission Part Two (supervision sessions and write-up), consists of a revisit of conventions of scholarly writing and citation; a revisit of theories and methods comprising the area of study; a review of the framework and structure of the dissertation; a refinement and development of your agreed dissertation project; regular supervision (as agreed with the supervisor); and the production of drafts and revisions in relation to structured feedback and according to agreed schedule of submission. Applicants will typically have A-levels, BTEC Diploma or Extended Diploma or International Baccalaureate equivalent to 200 UCAS points, or an ICMP Higher Diploma. In addition, you should hold GCSE Grade C or above in English and Maths, or suitable equivalents, such as Level 2 Key Skills, Functional Skills or Adult Literacy/Numeracy. We also welcome applications from mature applicants who may have no formal qualifications but who can nevertheless demonstrate their suitability for study through appropriate skills and experience. For international student entry requirements, see ‘International Applications’. All applicants will be invited to audition. 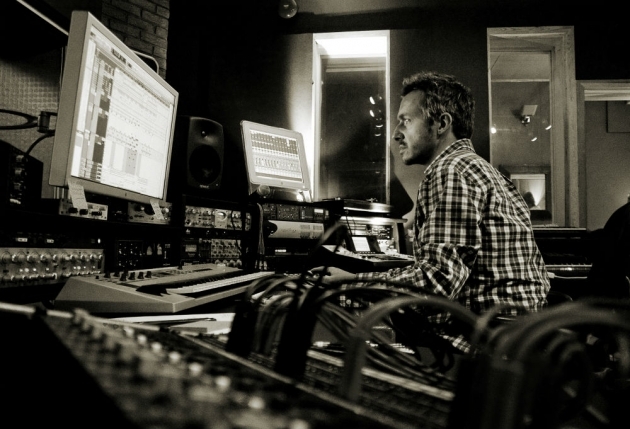 Fraser T Smith is an award-winning record producer, songwriter, mix engineer and guitarist. He is responsible for such hit songs as James Morrison's "Broken Strings", Taio Cruz's "Break Your Heart", and Tinchy Stryder's "Number 1", "Take Me Back" and "Never Leave You". "Break Your Heart", written and produced with Taio Cruz, spent 3 weeks at number 1 in the UK charts. On 2 March 2010, it reached #1 on the US iTunes chart and debuted at #53 on the US Billboard Hot 100 chart for the week ending 13 March 2010. They also set the record for largest jump to number 1 in 2010 on the Billboard Hot 100 by an act with its first charting single when "Break Your Heart" leapt 53-1 for the week ending March 20, 2010. Smith also wrote the song ‘Set Fire to the Rain’ for international superstar Adele on her Grammy-award winning album ’21’, which reached number 1 in the USA. He has more recently produced and written songs for Sam Smith’s number 1 album ‘In the Lonely Hour’, the Kaiser Chief’s number 1 album ‘Education, Education, Education and War’, and Lily Allen’s number 1 album ‘Sheezus’. Marcel Van Limbeek was an important member of the Alchemea community, and will prove to be a valuable asset to Alchemea @ ICMP. 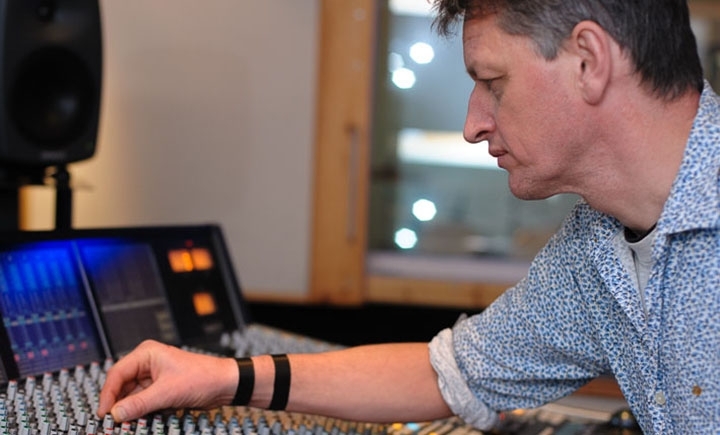 His understanding of both studio and live sound will give production students a rare insight into how recordings can work in a live environment, and will be able to give them insight into how to get records to sound the best that they possibly can. Aside from teaching, Marcel has been working with recording artist Tori Amos for the last 20 years, during which time he has recorded, mixed and mastered 15 albums / DVD releases, of which 4 have been Grammy nominated. Whilst doing all of Tori’s records, he has also done 14 world tours with her, as her monitor engineer.